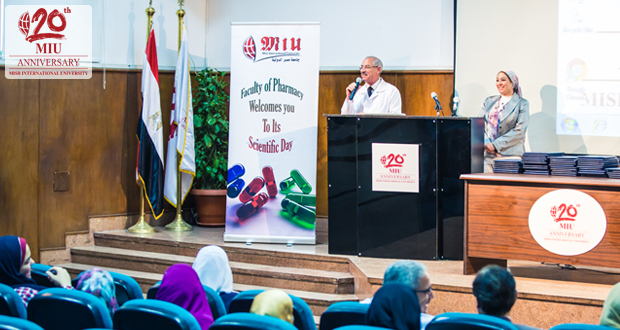 MIU’s Faculty of Pharmacy organized a “Scientific Day” event on May 16 to honor the Dubai DUPHAT 2016 participants and victors. The event recognized students for their distinguished representation of MIU at Dubai DUPHAT Conference 2016 and for winning the 4th best Pharmacy student thematic poster award and 7th best Pharmacy student innovative poster award. 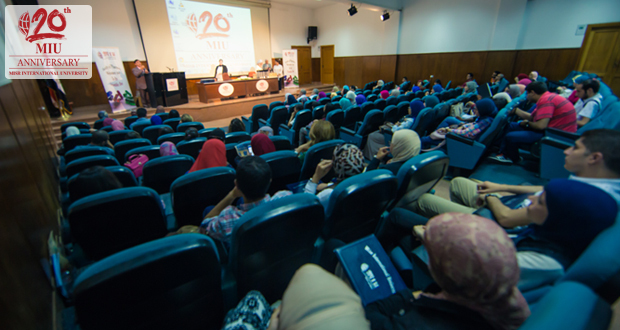 The Scientific Day was attended by doctors from different hospitals like Ahmed Maher Hospital, National Cancer Institute, and Air Force Specialized Hospital. 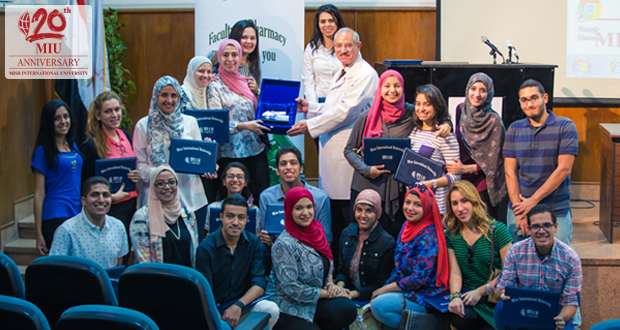 The event was also attended by students who had training in different hospitals and students who participated in DUPHAT 2016.